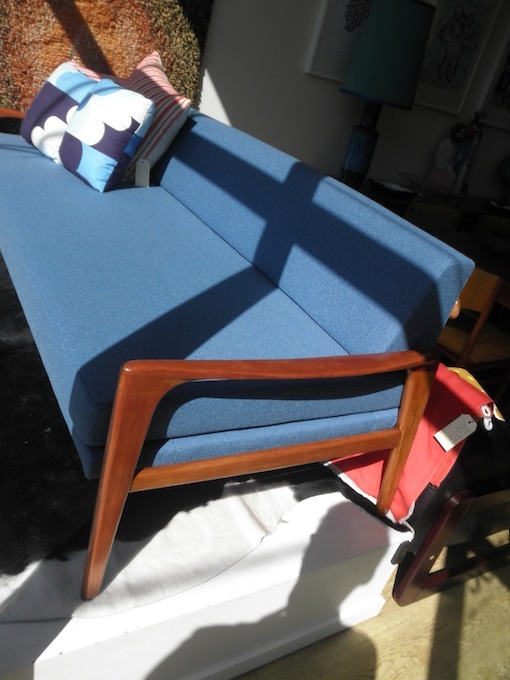 This couch is a classic 1960s Danish inspired piece with a mahogany frame and a sprung steel subframe for comfort. The cushions are new high density foam and the covers are a vintage Danish sateen cotton feel fabric with a great retro texture. The back pyramid cushion on the back lifts off to make a spare bed which makes this a very practical and stylish piece of furniture. 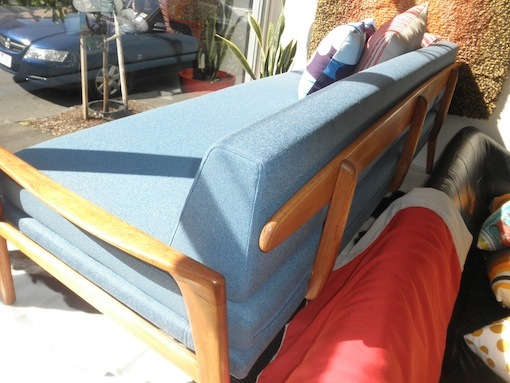 The surfboard shaped backrest is a great retro detail and it’s shaped timber ends contrast beautifully with the blue fabric.